Yuki Fujiyama is a trade finance specialist with the Office of Financial Services Industries in the International Trade Administration. He serves on the Department’s liaison team to the U.S. Export-Import Bank and he is the author of The Trade Finance Guide: A Quick Reference for U.S. Exporters. The U.S. Department of Commerce, in cooperation with a number of commercial banks and specialized finance firms as well as other federal agencies, will soon host two full-day trade finance conferences in Pennsylvania for Mid-Atlantic region exporters. 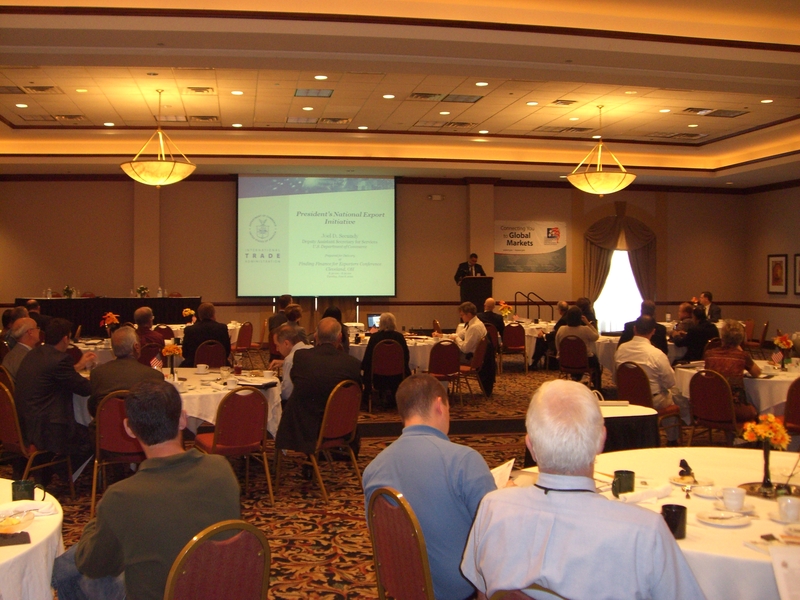 The first event is scheduled for November 19, 2010 in Pittsburgh, PA for Western Mid-Atlantic area exporters in Western Pennsylvania, West Virginia, and Southeastern Ohio. The second event is scheduled for December 8, 2010 in Philadelphia, PA for Eastern Mid-Atlantic area exporters in Eastern Pennsylvania, Delaware, and Southern New Jersey. As part of the Department’s regional trade finance conference initiative, these two events will bring together trade finance experts from both the public and private sectors, including officials from the U.S. Export-Import Bank (Ex-Im Bank), the Small Business Administration (SBA), and the U.S. Agricultural Department’s Foreign Agricultural Service to discuss the resources available to U.S. exporters, especially SMEs, for their financing needs and will be followed by one-on-one matchmaking sessions. To register the November 19 event, visit the Pittsburgh Export Conference website. To register the December 8 event, visit the Philadelphia Trade Finance Conference website. These full-day conferences, which place emphasis on the role of the private sector in providing financing for U.S. exports, are great opportunities for local exporters to meet one-on-one with these commercial lenders and U.S. government export assistance agencies. The past two conferences with a similar full-day program attracted more than 200 participants in Miami last year and over 100 in Cleveland last summer. In addition to the upcoming two Pennsylvania conferences, future events are also planned for other areas most hard-hit by the recession. In cooperation with Ex-Im Bank and SBA, the U.S. Commercial Service also offers a number of half-day export finance seminars annually across the county with a particular focus on new-to-export SMEs and those who face challenges in accessing capital and financing for their export transactions. The goal of these Commerce Department sponsored trade finance events is to help increase access to capital and financing for U.S. exporters and their foreign buyers – one of the priorities under the President’s National Export Initiative, a U.S. government-wide effort to double U.S. exports and support several million new jobs over five years. To learn more about how the Commerce Department helps U.S. exporters access to capital and financing for their export sales, contact Yuki Fujiyama, email: yuki.fujiyama@trade.gov; tel. : 202-482.3277.